you are the rider you have been waiting for…. Based on ancient, almost forgotten principles that govern movement, Ride from Within brings forth a new paradigm in riding. Your horse lives by these principles, horses own balanced and powerful movement. They do not need us to teach them how to move. It is us that need to learn how to move like them. Ride from Within is the ONLY riding method that has discovered and identified the 3rd-dimensional movement in the horses' pelvis. It is the only movement the horse cannot put into the rider’s seat when we ride. 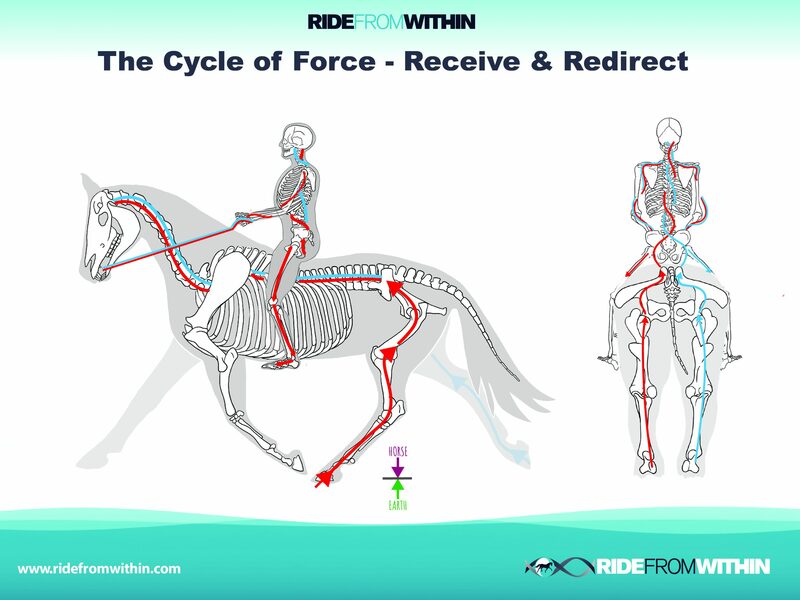 In order to have an effective and influential seat that can match and lead the power of the horse, we need to learn to move like them to connect with them, otherwise we take our limited 2-dimensional and unbalanced movement to the saddle which directly restricts and impedes their natural state of balance, power and therefore fluid effortless movement. When we learn to move 3 dimensionally in our pelvis the horse is free to move as he was designed to and horse and rider become One, riding from the inside out. – Kathy King Johnson, M.Ed. The information that I have gained from participating in the james Shaw clinic is invaluable , I am a better instructor because of his generouse nature and clearity of explanation. The tai chi principals combined with James comprehensive teaching style has proven to be the most valuble instruction that I’ve ever experienced. USDF4th Level Certified Instructor/Trainer, USDF Silver Medalist and National Champion. The reason James can understand and teach this is that he was born with a unique gift of ‘seeing’ which makes him very different to most people. James ‘sees’ in his minds eye and thinks in pictures, multi dimensionally, which means he can picture the rider’s body from the inside, in 3 dimensions, giving him a unique perspective on true balance. Also it means he can look at a horse and rider and ‘take a picture’ literally in his mind and see the combination from all angles, without having to physically move. He can see the root cause of tension in the rider and experience it in his own body as if it were his own reality, in other words he experiences the feeling of the movement and tension in his own body as he is observing the horse and rider in real time. This gives James a unique ability to feel the root cause of rider’s problems and through his own physical training and understanding of internal balance he can work out the solution very quickly. James has done this countless times over the years with riders who have been stumped for years and years, ‘stuck’ at a level with no idea what is causing the problem. James can uncover the subtlest of hidden tensions which can unlock the most profound problems.